Suddenly, on March 19, 2019 at 65 years of age. Beloved wife of 44 years to Mile. Loving and devoted mother of Danny and Sandy. Dearest daughter of the late Ilia and Maria Oluic. Cherished sister of Dusan and Jasna. Fondly remembered by Aunt Ljubica Rosic. Dear friend of Cvija Milne. 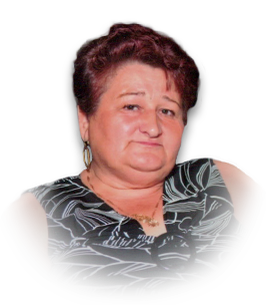 Sadly missed by her neighbours Stevania Crnocrak, Mary & Joe Zunac, and Steve & Vesna Rezler. Milka worked for Essex Linen supply for 21 years. She enjoyed gardening and baking. Special thanks to CCU at WRH-Met Campus for their care and compassion. If you so desire, donations to Canadian Diabetes Association would be appreciated by the family. Visitation Friday, March 22, 2019 from 3-5pm and 7-9pm. Funeral Service Saturday, March 23, 2019 at 11:30am at Families First 3260 Dougall Ave. South Windsor, 519-969-5841.